I can't find my reading mojo even though I'm reading a few great things right now. Boo. 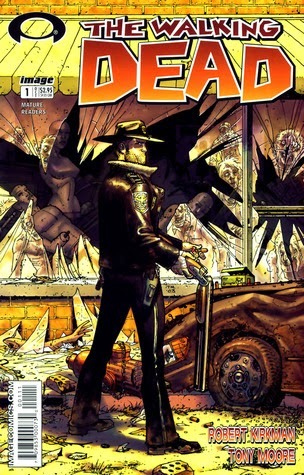 I ended up reading issues 1-20 of The Walking Dead series. I've been meaning to get to those forever and I thought they'd be just the thing for the nonexistent attention span thing I've going going on lately. 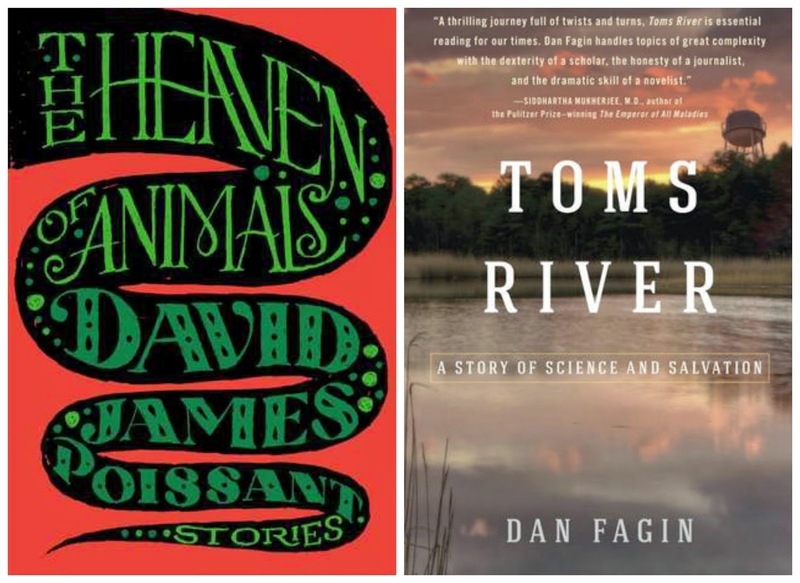 I normally don't read more than one book at a time, but one of these is a short story collection (The Heaven of Animals) and the other is nonfiction (Toms River). I'm dabbling here and there in an attempt to shake up my brain and find my book love. Katie, at Words for Worms, has selected the next book for The Fellowship of the Worms readalong! Do you read well with others? You ought to join this awesome lady in reading Jane Austen's Northanger Abbey. Are you looking forward to the summer reading season? Rory put together a fab list of books that will be coming our way shortly. Ahhh, beach reading! The above post doesn't include any of the craziness of Dewey's 24 Hour Read-a-Thon that happened yesterday. (I read books, ya'll!) I'll update about that at another time. You can see my master post here. I had a GREAT day. Have a fantastic week, you brilliant readers! Thanks for the links. Going to check them out...just need to remember that is what I am doing. Took part in the read-a-thon too and my is a wee bit tired and I seem to have a case of stare at the screen. Enjoy your Sunday! You bet. Just what we need, more links to look at every week ;) But there's such good stuff out there that deserves to be shared. Nice links! I need to read your kid's review of A Wrinkle in Time. My son and I just finished it earlier last week. Enjoy your Sunday! I have one of TWD comics waiting to be read myself. I'll have to check out your young ones review then. Toms River is on my wishlist. Happy Sunday! Toms River is an excellent nonfiction read. I just need to make more time to actually read the darn thing! I had the same problem the last two weeks, I was stuck in several books and nothing was really working. I finally got through it but yeah it was a bummer. Hope this week is better for reading! Hope you will find your reading mojo back soon. Am struggling myself and hate the feeling! It's yucky isn't it? Booooo to slumps and struggles :D I hope your reading perks up soon, Ciska. I haven't read any of TWD comics. They seem too crude to me. But I am reading book #1 of the Governor series (The Rise of the Governor) and liking it quite a bit. Oh, is that a different series? By the same author? I'll have to check those out! Thanks for the shoutout! I've been wanting to read TWD comics and I keep putting it off. I think I have a hangup about comics and graphic novels maybe? I don't know. Baby steps toward readerly expansion, right?